Miss Anna, the author of the blog called Daily Optimystique turned seven years this month. Sharing her thoughts and feelings with her readers making her life more optimistic and sentimental. 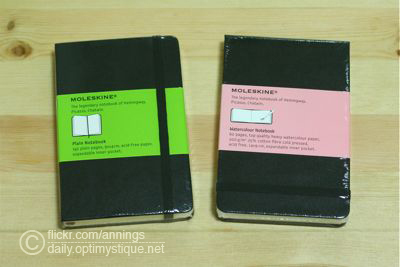 So she will be giving away Moleskine's Plain and Watercolour Notebook for us.Just follow a certain instructions and wolaa..It can be yours. happy 7th year in blogging Miss Anna.